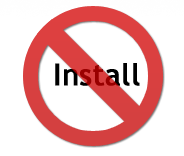 The best thing about Gantt Excel is there is NO installation. Its just another macro enabled excel file that opens if you have Excel 2007, 2010, 2013 and 2016 on your windows PC/ notebook or Excel 2016 on your Mac (depending on the version you purchase). When you buy Gantt Excel Ultimate or Mac Ultimate, a license key is sent to you via email. Assuming you have downloaded the Ultimate or Mac Ultimate version of the Excel file. 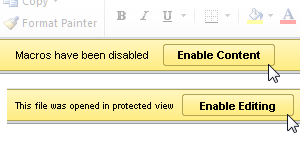 Open the file and click on Enable Macros. Click the Activate License button in the Gantt Tab. Enter your full name, email address and license code and click the Activate button. You will see a success message. Please note that you will need to activate the file only once. Once activated, the license code is stored within the file. Save the file. You can choose to keep this as your master file and make copies of it when you want to start a new project. Upgrade from Free Version file. If you are upgrading from the free version file you click on the Upgrade button on the Gantt tab and the same license activation popup will show up. Please enter the details, activate and save the file. The data that you entered in the free version will stay and you can continue to build up your project plan. Activation is a one-time affair. 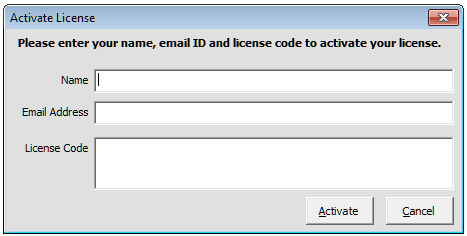 You won’t have to keep activating a license every time you open the file. Do not share the license code with anyone. The license key is linked to your account only. However, you may share the project plan with your colleagues to collaborate. They won’t need the license key to update the file.